It's evening and it's raining outside.. It's Monday and it's evening tea-time. 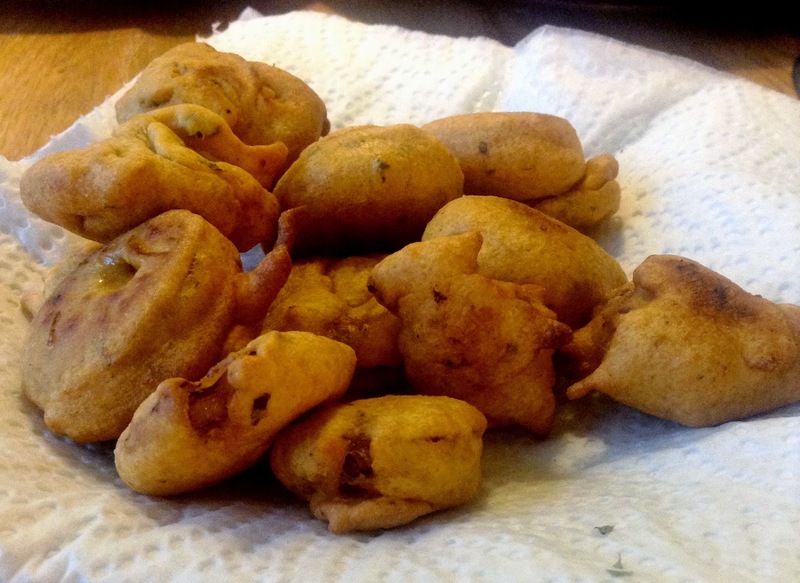 I feel lazy to prepare anything out of the way, when the idea of making these easy pakodas strike me.. and lo! 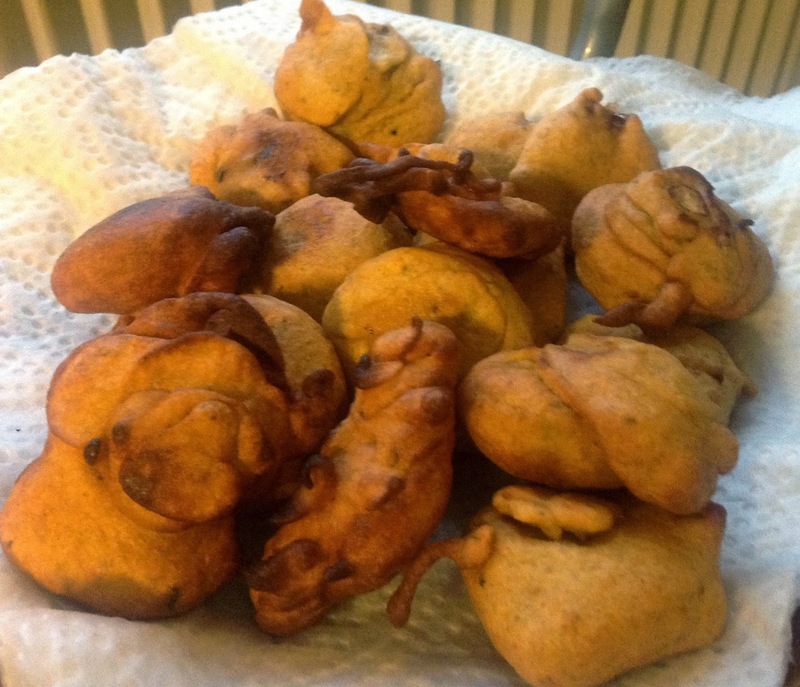 these come out of my kitchen in less than 15 minutes.. happy hubby, happy me !! Add all the spices to the besan (chickpea flour) and mix well. Add water slowly to make a paste. The paste must neither be too thick nor too runny. Heat oil on high flame. Cut the spring onions in rings. I use spring onions because they don't give the raw onion taste while eating. Drop one onion ring into the paste and coat evenly. Carefully drop into the oil. Repeat for all the rings. Let cook for 3-4 minutes. Turn and check if done. This will take a total of about 8 minutes. Drain on kitchen paper, sprinkle some black salt (optional) and enjoy with hot tea.